The downsizing of the drivetrain is the easiest way forward to cut down emissions significantly. Volkswagen for one, definitely understands that as the group hasn't shied away from downsizing engines even in their cars from the premium Audi and Porsche line up. 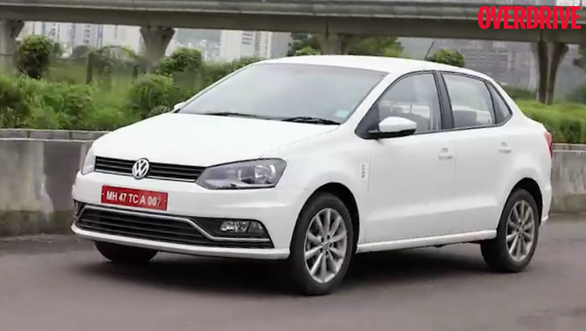 On a much smaller level here in India, it silently replaced the 1.2 naturally aspirated petrol engine in the Polo and the Ameo with a 1.0 MPI engine that had debuted at the 2012 Geneva Motor Show. This engine belongs to the EA211 family of engines from Volkswagen - which includes some peppy direct-injection turbocharged four-cylinder engines, and some frugal, naturally aspirated three-cylinder mills. 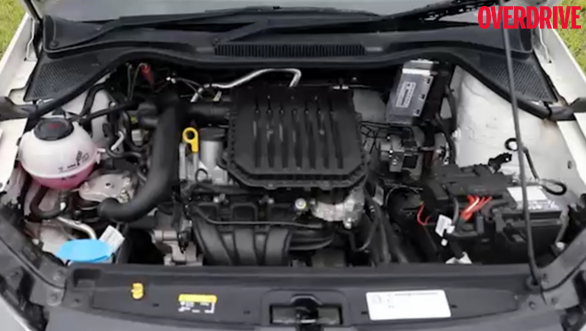 The 1.0l petrol engine in the Ameo we have here belongs to the three-cylinder kind. Crank it up and you will instantly notice the vibrations in the pedals and a thrum at idling rpm, both of which are inherent to three-cylinder engines. The vibrations get more pronounced till 1,500rpm, after which everything smoothens out by a fair margin. 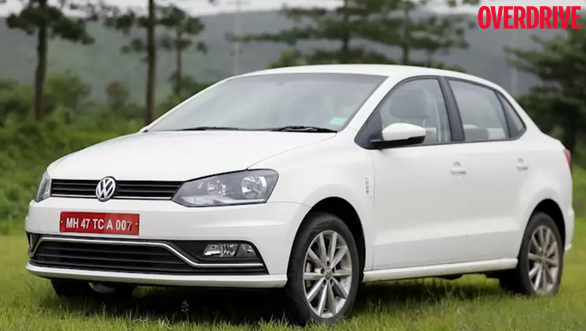 Volkswagen makes this 1.0l engine in three states of tune ranging between 60PS to 116PS. The one that does duty in the Ameo resides right in between with its 75PS/95Nm output. While the power figure is on par with that of the outgoing 1.2, there is a 15Nm drop in peak torque. Despite the torque deficit though, there is hardly any noticeable difference in overall drivability. It's claim to fame is its lightweight aluminium architecture that translates into higher fuel efficiency. With a 0-100kmph time of 16.9s, it isn't exactly an eager engine - far from it. But it's forte is city commuting and lazy highway cruising. To that effect, it also gets a cruise control system which works quite well for our legal speeds. Cruising between 80-100kmph in fifth needs between 2,500-3,000rpm. At city speeds, you will often find yourself driving between 1,800-2,500rpm. The relaxed nature of the engine translates into excellent fuel economy. 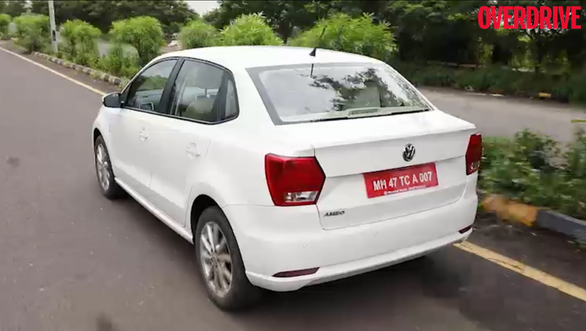 Our tests show almost 14kmpl in the city and over 20kmpl on the highway - which makes the Ameo 1.0 MPI a frugal runabout and more fuel efficient than the 1.2 it replaces. The engine is mated to a five-speed manual gearbox and the shift gate now follows a more popular layout with the reverse gear selector slotted after the fifth. The gearbox still has a springy clutch lever which can get cumbersome in bumper to bumper traffic. The steering is light though. Since there is no change to the chassis, the space offered remains unchanged and so does the Ameo's excellent ride quality. It displays taut driving dynamics too, but enthusiastic driving isn't exactly what this car is made for. What it is then, is a frugal commuter and an ideal step up for someone upgrading from an entry-level hatchback.